A new radio advertising campaign was launched on 5 October, aimed at improving drivers’ awareness of motorcyclists in bus lanes. This is part of a package of measures that TfL and the MPS have introduced to tackle an increase in the rate of motorcyclist collisions, predominantly with cars turning into, or out of side roads on routes where motorcyclists have access to bus lanes. These were identified by the previous motorcycles in bus lanes trial. Additional measures include introducing targeted enforcement of speeding motorcyclists in bus lanes to improve safety, and updating the TfL-funded MPS BikeSafe course, which provides advanced motorcycle and scooter training, and now includes extra training on awareness of vehicles crossing their path at junctions. Significant progress has been made towards fulfilling a proposal in the Mayor’s Transport Strategy to deliver a joint TfL and police intelligence function regarding London’s transport network. This Fusion Centre for London’s transport system brings together representatives from TfL, the MPS and the British Transport Police, to enable joint working, effective sharing of information, and the analysis of data from the three groups. The Fusion Centre was up and running in September, with its initial work focussing on three priority locations (Victoria, Stratford and Finsbury Park) identified through strategic analysis of crime data. Following the publication of the consultation draft of the Opportunity Area Planning Framework (OAPF) in November 2009, TfL is continuing to lead on several follow-up projects. A Development Infrastructure Funding Study, which looks at how the infrastructure recommendations of the OAPF can be funded and implemented, was commissioned by the GLA, the London Boroughs of Wandsworth and Lambeth, and local landowners. A final report was produced on 15 October. The GLA and TfL will use the recommendations to inform a revised ‘Development Contributions’ chapter, which will be consulted on, and inform the final draft of the OAPF. TfL has also completed a strategic assessment of the transport interventions tested as part of the original VNEB transport study. This was based on the goals, challenges and outcomes set out in the MTS. The assessment supported the findings of the VNEB transport study, that an extension of the Northern line was the best option to support growth in the area. This continues to feed into the work that LU is doing on defining the preferred alignment of the Northern line extension to Battersea Power Station. An update on the scheme was provided to the Finance and Policy Committee, where it was agreed to progress towards the planning application stage, as well as an OJEU advertisement. TfL has now prepared all the necessary engineering and design inputs, and developed all the planning application documents including the Design and Access Statement, Environmental Statement, Planning Statement and the Statement of Community Involvement for the submission. Negotiating the design and land issues with key stakeholders has been complex, but TfL will be submitting the planning application on 29 October. TfL has been leading on work examining the funding and financing challenges of delivering the infrastructure required to realise the Opportunity Area at Vauxhall Nine Elms Battersea. One potential solution is tax incremental financing (TIF), a completely new method of financing in the UK whereby future increases in tax yield generated by some upfront investment in infrastructure are ring fenced to pay for that investment, rather than being collected and distributed nationally by central Government. 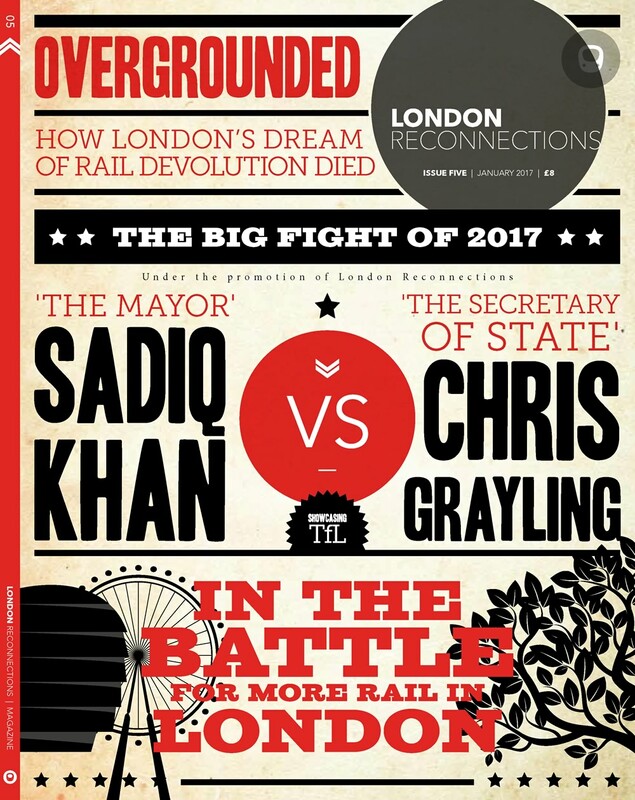 TfL has been discussing the potential introduction of TIF in the UK with the GLA, politicians, and Her Majesty’s Treasury (HMT), as well as other stakeholders, such as the British Property Federation. These discussions culminated in an announcement on 20 September by HMT, stating that Local Authorities are to be granted TIF borrowing powers. While further details on the application of TIF in the UK are yet to be released, this is an encouraging development that may act as a catalyst in driving investment in infrastructure that will help to regenerate and redevelop many areas of London, as well as the rest of the UK. This should be widely read, marked and inwardly digested. It certainly will be music to the eyes of one of the mayoral candidates who as W.S.Gilbert put it “has a little list”. The devil will come in the detail especially if the Treasury, described by former Chancellor, Ken Clarke, as “brilliant but completely devoid from reality”, get twitchy about a parallel debt market spilling over into the general PSBR. Come the first signs of a major project overrun great will be the harrumphing and hard stares may result. Again let me recommend yet again Bent Flyvberg’s “Megaprojects and Risk.” It is essential reading for any London Mayor or anybody seeking to replace him/her. Ian Brown, the Managing Director of London Rail, retired after the meeting, taking up an advisory role in London Rail and Crossrail until he leaves TfL on 31st March 2011. David Brown, who has led as the Managing Director of Surface Transport over the past four years will also be leaving TfL at the end of March 2011, to become Group Chief Executive of the Go-Ahead Group, a FTSE 250 company and leading provider of public transport in the UK. Before they go it is important to harvest as much of their experience in as systematic manner as possible. Can I recommend “Continuity Management” Preserving Corporate knowledge and productivity when employees leave by Hamilton Beazley, Jeremiah Boenish and David Harden ISBN 0471219061 published by Wiley. JB – note the skilful use of the “legitimise your advice by quoting a reputable but not necessarily accessible academic source” It’s an old consultancy trick but it might just work. In fact it is also a good book!